His Kingdom Rules Over All Of What? Established means “cause to erect.” So this verse is teaching us that the Lord has erected and fixed his throne in the heavens. God's kingdom is the place where he fixes his throne which this verse teaches is in the heavens. His kingdom rules over all. When I first read this verse, I wondered whether the all means all of creation, or all of the heavens. It's a big difference to say that God is sitting on his throne in heaven and rules from that point over all of creation. Or to merely say that he rules from that point over all of heaven and not of earth. From the vantage point of earth, it can at times appear that God is not ruling over the affairs of man. It seems logical to us that if an all knowing, all powerful God who is everywhere all of the time was ruling over the affairs of man, we would see instant and perfect justice. Yet how do we know what perfect rule looks like? We need to check our opinions at the door and look more closely at the Word of God. Daniel informs us that God's kingdom does rule over the realm of man. Paul tells us in the New Testament that the one who sits on the throne in heaven is Jesus Christ. The one who is fully God and fully man. 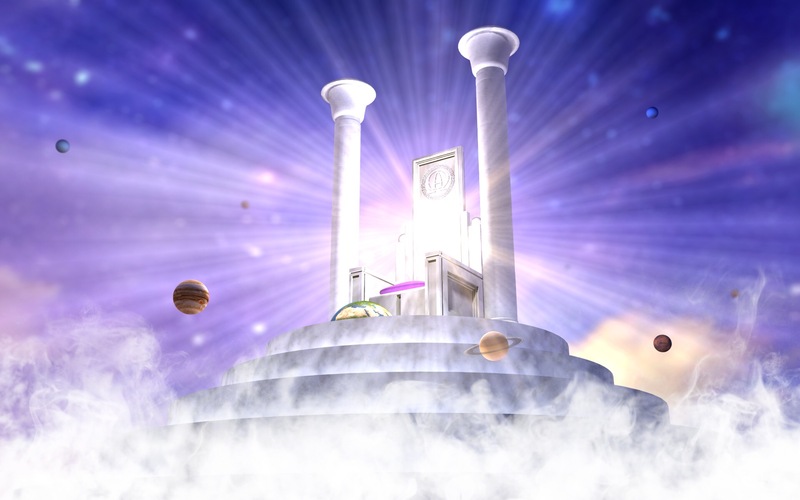 So God has established his throne in heaven where he rules over the affairs of angels and mankind. He has placed his son Jesus Christ on this throne. One day every tongue will confess the truth that his son Jesus is Lord. It may not appear to us at times that God's kingdom rules over the affairs of man, but that is exactly what the Bible teaches us. Will you wait until judgement day to confess Jesus Christ as Lord, or might you begin today. On judgement day, it will be too late to confess him as your redeeming Lord. You will merely confess him as your judging Lord, and then reap the consequence of your unwillingness today. I pray each of you finds it in your heart this Sabbath to sing and confess Jesus as Lord.